Now that June has come and gone, there is little doubt that summer is finally here. If you haven’t already, then it is high time to put away the Uggs and snow tires. It is time to store the winter coats and snow shovels. The ice-melting salt can be hidden away for months. Summer is finally here. Get out the beach towels and the sunscreen, take the sandals out of their dust bags, and get ready to hit the sand in a one-on-one volleyball game. Yes, there are a number of ways to celebrate the arrival of summer and most involve spending time outside. Many people think that all of this outdoor time translates into less time in front of the fireplace, and in many ways they would be correct. But even though you are unlikely to kindle a fire in your fireplace, it doesn’t mean that the appliance is totally out of commission for the season. To the contrary, there are a number of ways to decorate your fireplace that are perfectly in keeping with the hot summer months. Below are some creative ways to decorate your fireplace, many of which are specifically geared for the hot weather. Go for a warm weather look. Just because it’s summer doesn’t mean your fireplace becomes irrelevant. There are a number of ways to make your fireplace summer ready. But before you can do anything else, you need to clean up. Start with a thorough cleaning. Before you can really redecorate your fireplace, you need to clean it up. Clear everything off of the mantle and then give it a good dusting. Wipe it down thoroughly and sweep away any ashes. Take the tchotchkes down so that you can see the fireplace standing alone. Try something springy. If you want to make your fireplace look seasonally appropriate, try going with some fresh greenery. Line your mantle with freshly cut flowers in matching vases. Or choose one “statement” vase and put some long stemmed flowers in that. If you have your own garden, then replace your flowers weekly. Before the flowers wilt and die, hang them upside down and let them dry. They will be reusable that way. Paint your fireplace white. One easy way to really change the look of your fireplace, as well as the aesthetic of the entire room, is to paint it in a hue of white. If you have a brick fireplace, then you can use colors like eggshell or ivory, as long as it is something that looks clean and crisp, and it will make your fireplace look lighter, brighter, cleaner and newer. Play with symmetry. Symmetry can be a great way to play with the décor around your fireplace. Try playing with them, rearranging them in a number of designs, only to keep them symmetrical. Mix and match your shapes and sizes to keep things interesting – just do the same general shape on both sides. Add tiles to give your fireplace a unique texture. If you want to do something to really make your fireplace look unique, and you are willing to roll up your sleeves, take a risk, and try something crafty, then consider using small tiles to create a beautiful mosaic on your fireplace. There are limitless options when it comes to decorating your fireplace. You could use mirrored tiles if you want to keep things simple or you can design an illustration with the tiles if you are feeling more artistic. Fill the fireplace with your firewood. 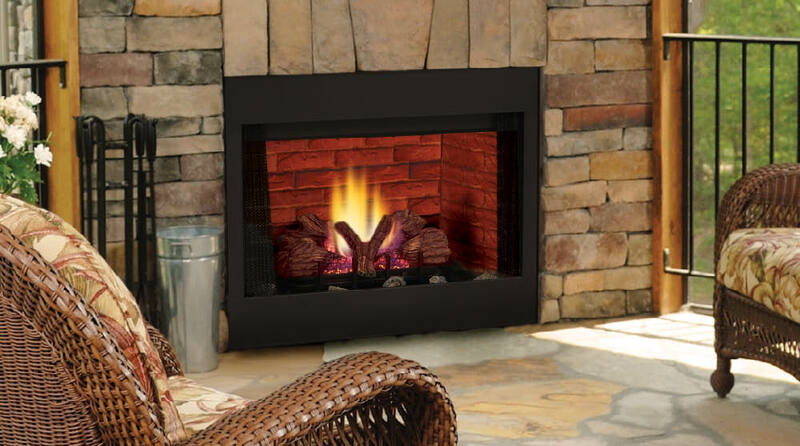 Chances are you have no intentions of using your fireplace to light a fire and heat your home during the summer. But that doesn’t mean that you can’t use your fireplace and firewood in different ways during the warm weather months. Storing your firewood in your fireplace can look great, unique and artsy and it serves a useful purpose! Use candles. Candles can be used to decorate the mantle of your fireplace, but that is not all. They can also be used to decorate the inside of your fireplace. You can choose something classic and traditional like tapered white candles, or you can mix them with shorter white candles as well. If you want to do something a little more exciting, try mixing and matching the colors and shapes. These are just a few ways to decorate your fireplace. Not everything works in every home, the trick is to choose something that works in yours.